Vacation is meant to be a time to get away and relax. Vacation season is right around the corner. Disasters can happen at any time, but there are some simple ways to prevent some of them while you are away. Make sure that all unnecessary appliances are unplugged. This not only saves on your electric bill, but decreases the chance of an electrical problem. Shut off the main water valve in your home if you will be away more than 2 days. This will limit the affect of water damage in the event of a broken pipe or toilet tank. Ask a neighbor or friend to check on your home while you are away, and make sure they know how to reach you in the event of an emergency. Make sure all doors and windows are secure, including your garage door. Make sure the lawn is mowed or the sidewalks are shoveled and mail and newspapers are stopped. That, as well as having timers on lights will make it appear as though someone is home. 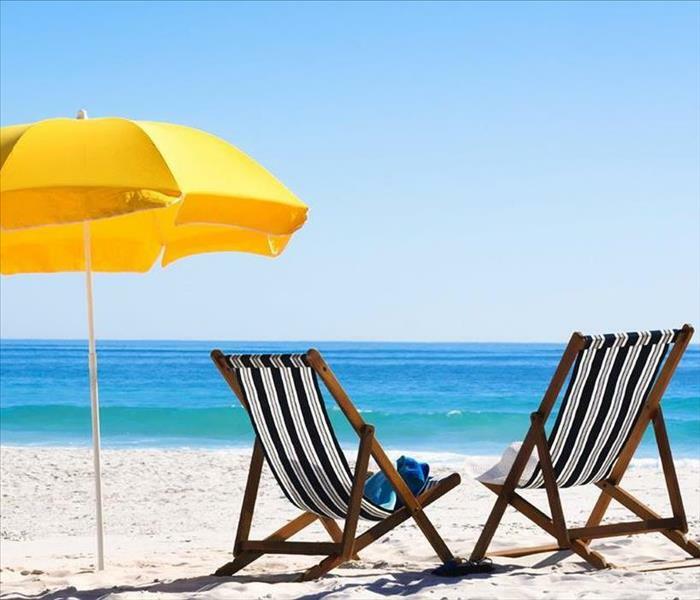 Taking some precautions before you leave can help prevent a catastrophe that can ruin your vacation. 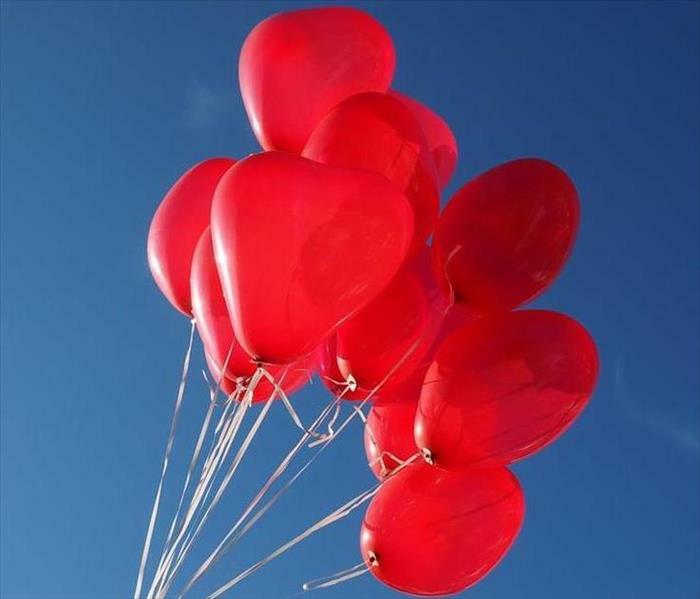 St. Valentine's Day is a feast day in the Roman Catholic Church and is celebrated on February 14th. Two priests, both named Valentine, were martyred on this date in separate years. Valentine's Day was originally celebrated as the Festival of Lupercalia. Farmers celebrated the coming of Spring and fertility in hopes of a good crop. It was changed to St. Valentine's day by Pope Gelasius. Legend says that Bishop Valentine (later St. Valentine), signed a letter to the daughter of his jailer, "Your Valentine", prior to his execution. Chaucer and Shakespeare began associating Valentine's Day with romantic poems and cards in their works. People began exchanging hand written Valentine's cards in the 1700's. The modern day Valentine's Day card became popular after Hallmark Cards of Kansas City began mass producing them in 1913. 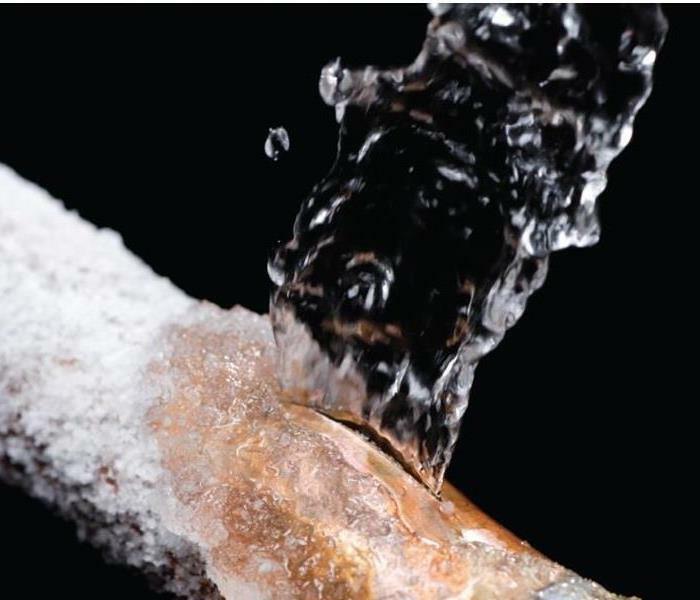 Freezing can cause pipes to burst, and may result in catastrophic water damage to your home. There are some simple ways to prevent this from happening when the temperatures drop below freezing. The most important tip is to maintain heat in your home, at least 55 degrees. Add extra insulation in attics and basements, especially when there are exposed pipes. Open cabinet doors under sinks. This allows warm air from the home to circulate into the cabinet. Allow water to trickle in several faucets. 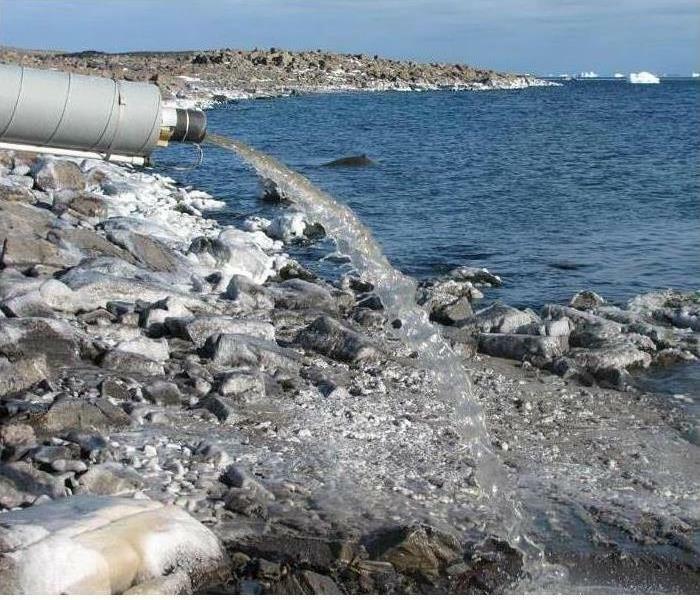 The running water will help prevent freezing and helps reduce pressure in the pipes. Shut water off to exterior hose bibs and remove garden hoses. If your pipes should freeze, stop the water flow by turning off the main valve. 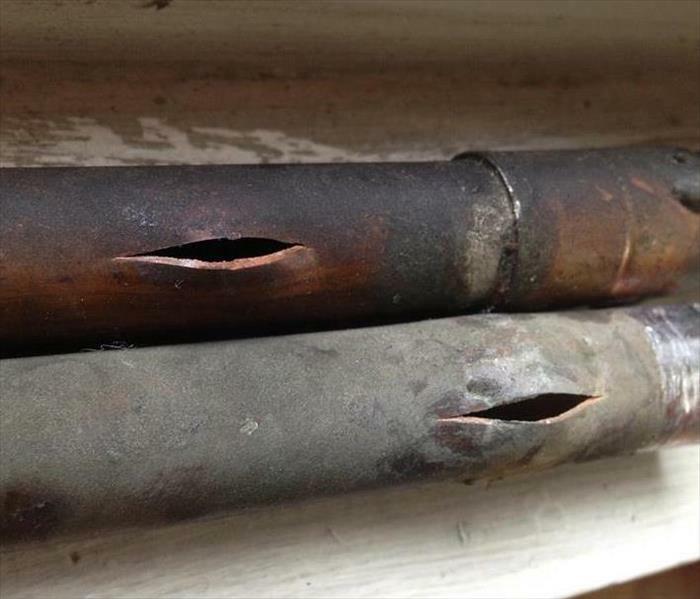 Call a plumber immediately to make the necessary repairs to the pipe(s). 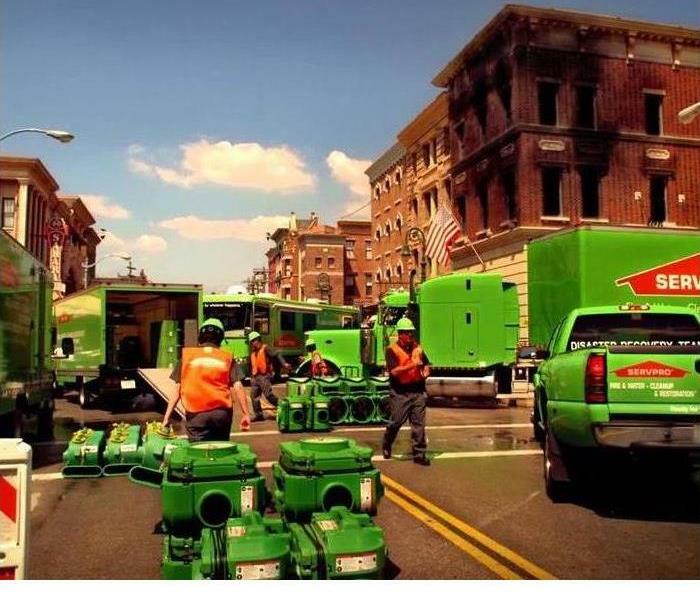 SERVPRO is available 24/7 to assist you with any water damage to your home! 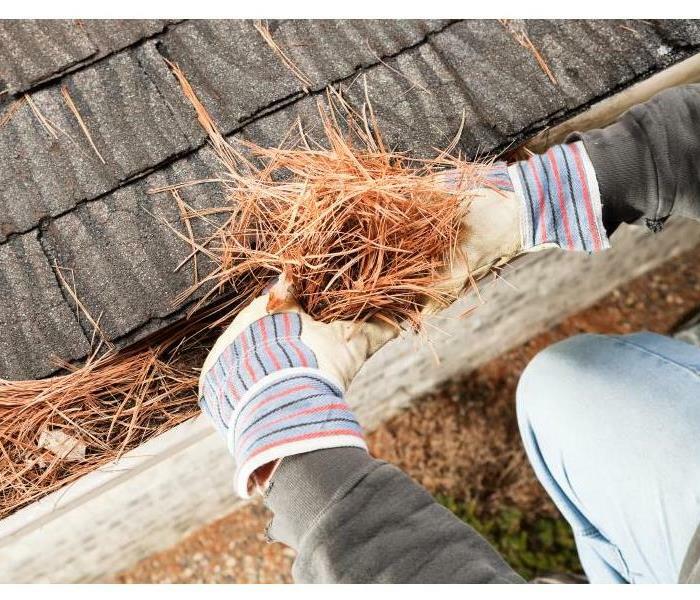 Cleaning out leaves and pine needles from your gutters and downspouts is important to prevent water damage to your home. Fall is an important time of the year to perform preventative maintenance on and around your home. These simple tips can help prevent costly damage. Make sure your gutters and downspouts are clear of leaves and debris, as well as exterior drains and sewer grates. Check your roof and windows for any damage. Repair damage and caulk any leaks to prevent water from getting into your home. Store hoses for the Winter, and turn water off to exterior hose bibs to prevent them from freezing and bursting. Make sure to have your furnace cleaned and serviced. Check chimneys for blockages and make sure the damper is in working order. Have your chimney cleaned regularly to prevent creosote buildup and prevent fires. Fire can cause large amounts of damage on your property. However, there are other damages that can seriously affect the building as well. Smoke odor invades building materials and personal belongings of every kind. Smoke soot damages walls that have not been burned by flames. Experiencing a fire can be devastating, and SERVPRO understands that your cherished possessions and memories are at stake. As fire restoration experts, we specialize in soot and smoke damage as well. 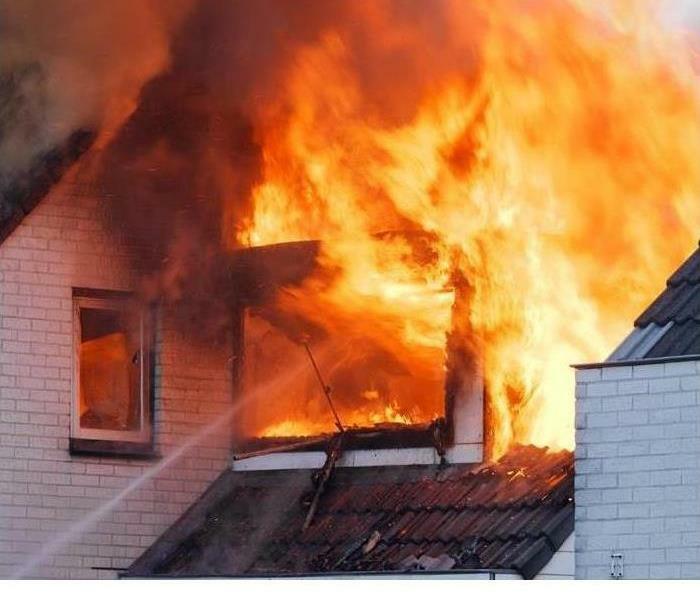 If your home is damaged by fire, it is critical to contact a company that specializes in the fire and smoke restoration process as soon as possible to prevent additional damage. Your local SERVPRO is available 24/7 to help minimize the cost of fire and smoke damage to your home. From 2011 to 2015, the average flood claim amounted to more than $46,000. From 2006 through 2015, total flood insurance claims averaged more than $1.9 billion per year. In 2015, the average policy premium was nearly $700. Even though flood insurance isn't federally required, anyone can be financially vulnerable to floods. In fact, people outside of mapped high-risk flood areas file more than 20 percent of all National Flood Insurance Program flood insurance claims and receive one-third of Federal disaster assistance for flooding. The NFIP paid more than $839 million in flood insurance claims to all policyholders in 2015. 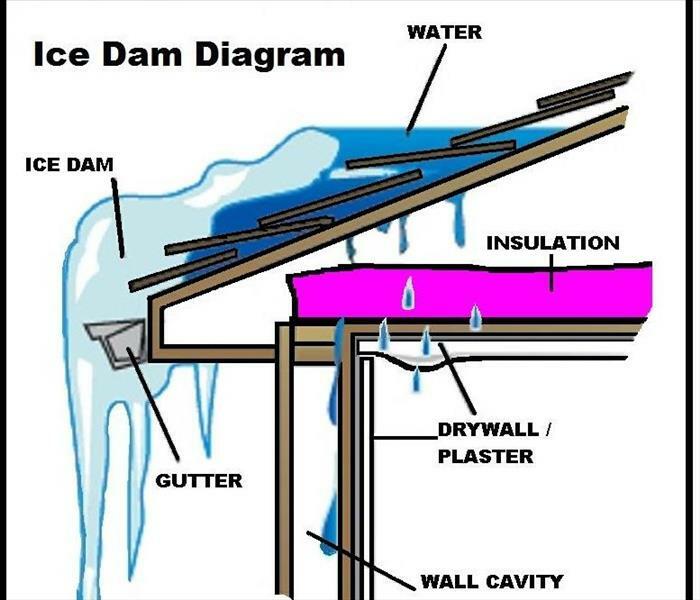 Ice accumulates when super-cold rain freezes on contact with surfaces that are below freezing point. That can be dangerous, especially for older adults. You can walk a senior’s dog to keep them injury free! Sign up for Dog Days of Winter. Throughout the US, ice storms occur most often during the months of December and January. Ice storms have the bizarre effect of entombing everything in the landscape with a glaze of ice so heavy that it can split trees in half and turn roads and pavements into lethal sheets of smooth, thick ice. Ice can increase the weight of branches by 30 times. Urban areas tend to suffer more economic and physical damage than rural areas because of the concentration of utilities and transportation systems (aircraft, trains, vehicles) — all of which may be affected to a great degree by the ice storm. The Midwest and Northeast are prime areas for freezing rain. In the high frequency band in the Midwest, an average of 12 to 15 hours of freezing rain occurs annually. Driving during an ice storm is extremely hazardous, because ice can cause vehicles to skid out of control, leading to devastating car crashes. The National Weather Service refers to winter storms as the “deceptive killers” because most deaths are indirectly related to the storm. In addition to car crashes, people die from hypothermia which is prolonged exposure to cold. In 1998, an ice storm in northern New York and northern New England damaged millions of trees and caused $1.4 billion in damage. Accumulations were as much as three inches thick! The ice storm that struck the northeastern US in December 2008 left 1.25 million homes and businesses without power. Described as the worst storm of the decade, a state of emergency was declared in Massachusetts, New Hampshire, and parts of Maine.